Carpe Diem possessed the combination of speed, precociousness, and Grade 1 dirt ability that hasn't been matched by over 2,000 horses of racing age sired by the great Giant's Causeway that came before him. From a record-breaking sale topper, to a TDN Rising Star-worthy debut at Saratoga, all the way up to his second Grade 1 triumph in the $1 million Blue Grass Stakes (G1) that made him one of the favorites for the prestigious Kentucky Derby (G1) among one of the best crops of 3-year-olds the industry has seen in recent history... Expectations have always been at an elite level for Carpe Diem - and now he will look to meet them yet again as one of North America's most exciting young stallions. The impressive thing about Carpe Diem, to me, is his ability to run 5 ½ furlongs in a tough 2-year-old maiden race at Saratoga and then stretch out to win Grade 1 races around two turns. Carpe Diem is one of a kind. He's as good as any young horse WinStar has ever been associated with. 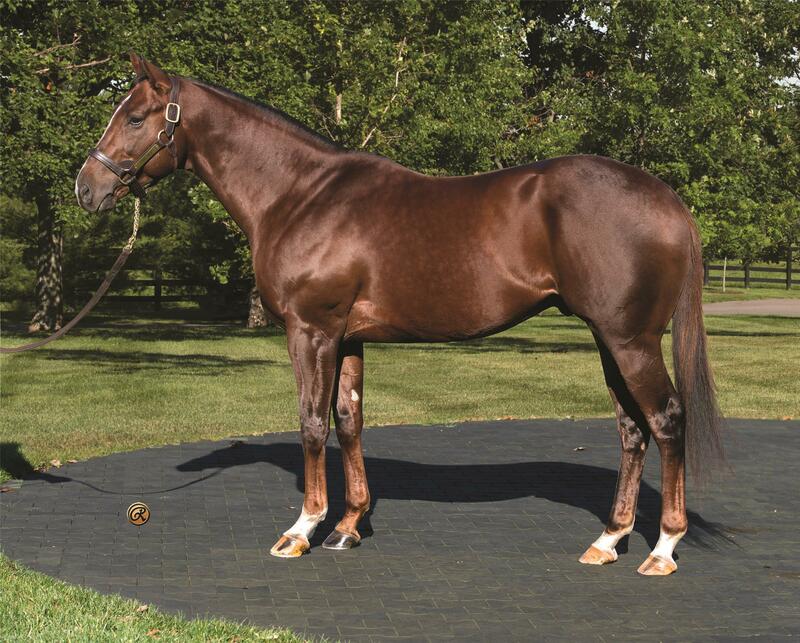 BR: Edward A. Cox&comma; Jr. Indian Charlie C: Claiborne Farm&comma; agent; Edward A. Cox&comma; Jr.
BR: Moreau Bloodstock Int'l & White Bloodstock Pulpit C: Moreau Bloodstock International; Moreau Bloodstock International&comma; Inc.
BR: Pine Ridge Stables Ltd. Indian Charlie C: Dromoland Farm&comma; agent; Pine Ridge Stables&comma; Ltd.